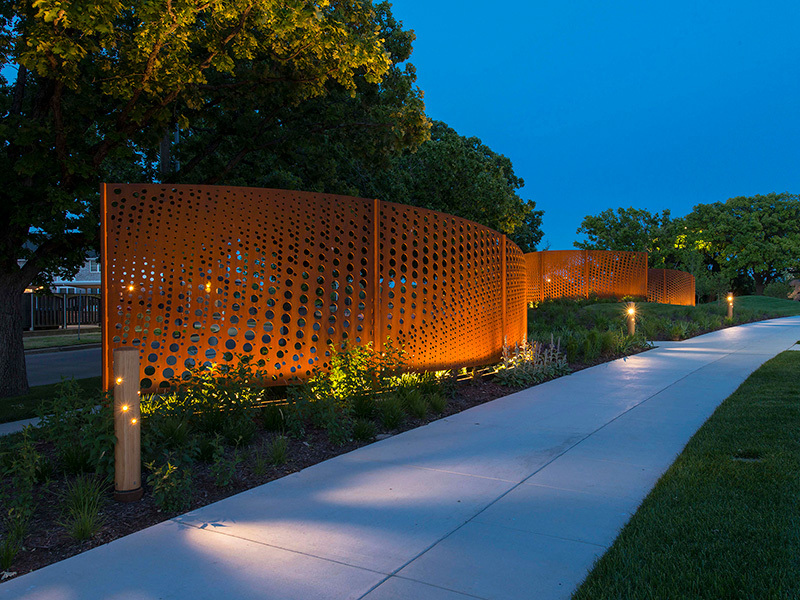 The Museum, the motion of wind in the prairie, and technology inspire this project. 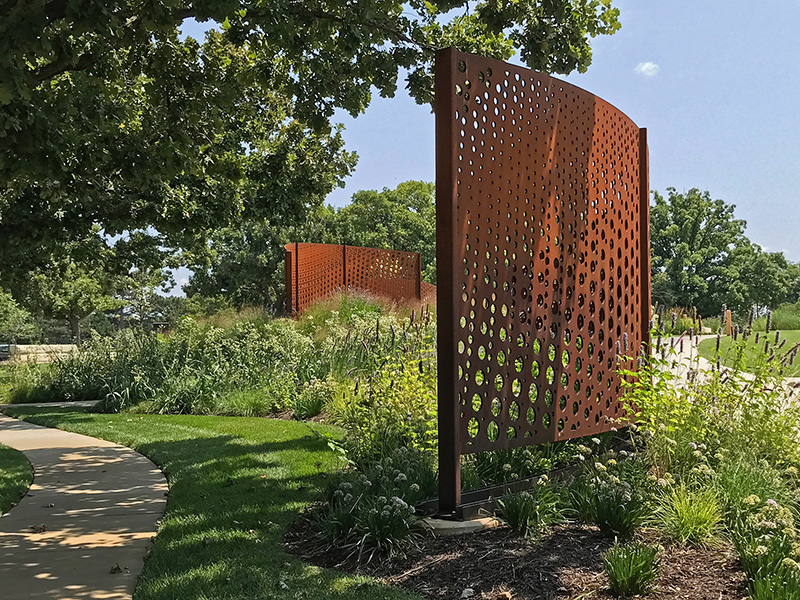 The three screens combine elegant curving forms with gestural patterns defined by circles of varying sizes to suggest airfoils and wind. 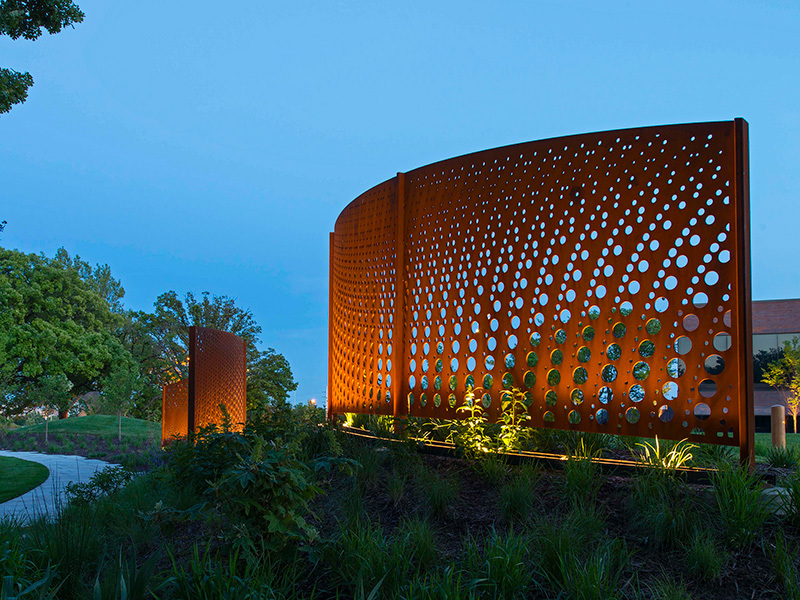 Opacity and transparency add interest, abstraction and interaction with the native landscape. 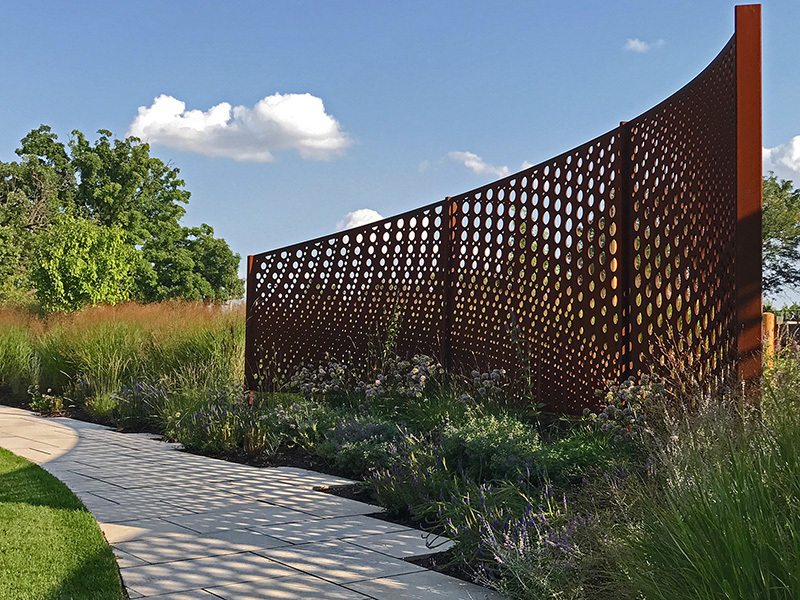 The patterns are designed to mirror each other, marking the entry, flanking the paths and gardens, while creating a sweeping motion. 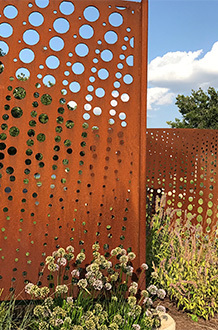 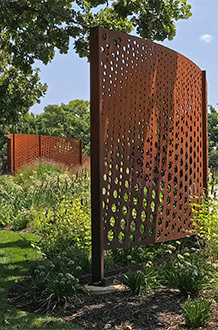 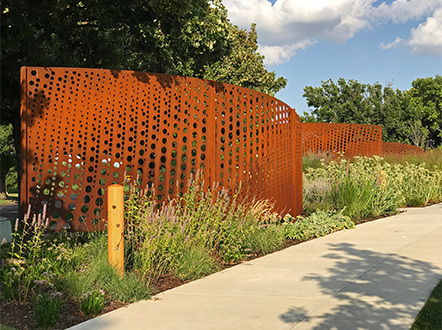 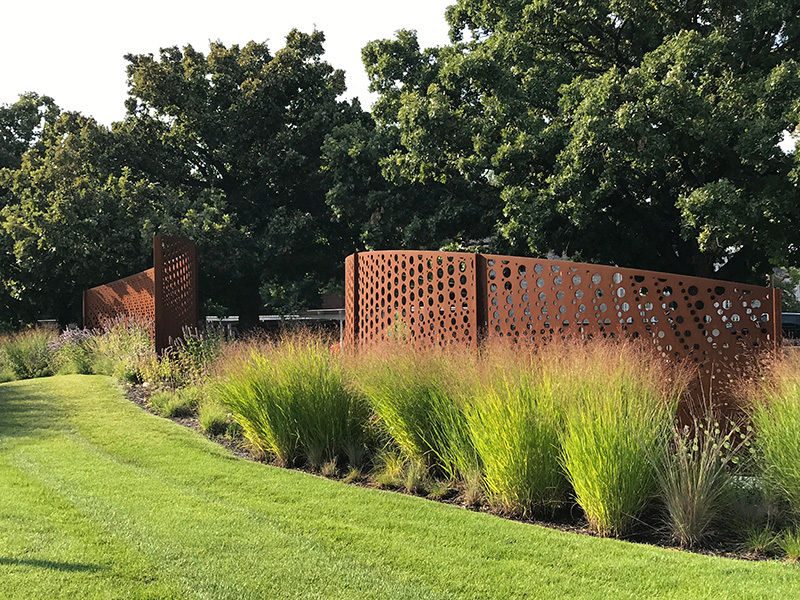 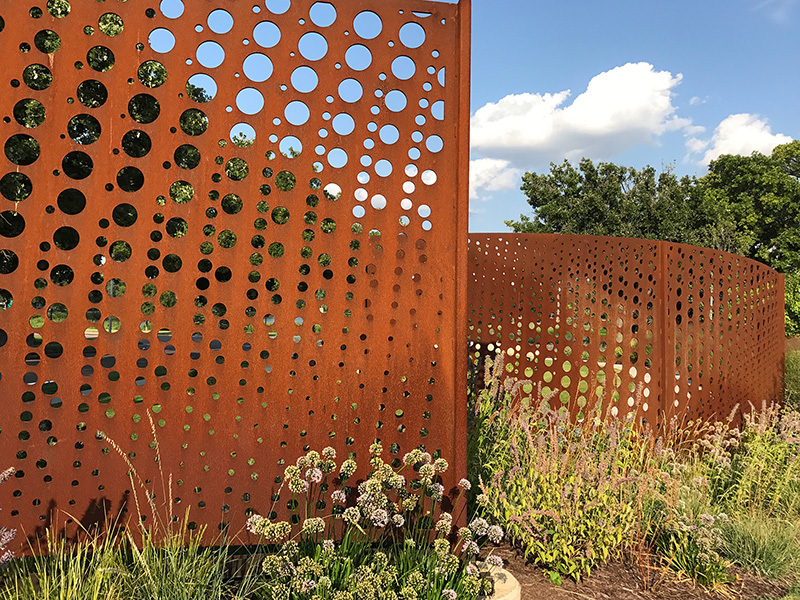 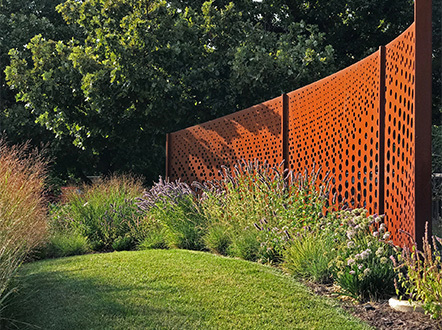 The screens complement the site, defining and framing the space, creating a special feature in the landscape and a photographic opportunity for special events. 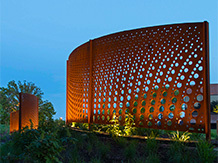 At night, the screens are illuminated with warm white light.